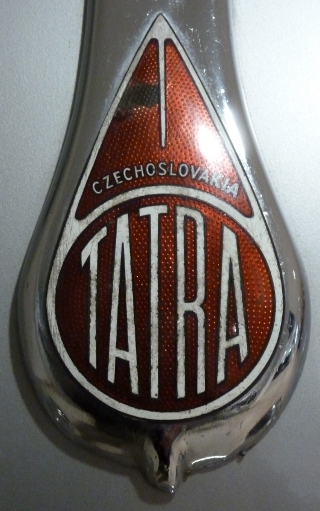 Ever since we first came across them, years ago, we’ve both had a serious hankering for a Tatra. 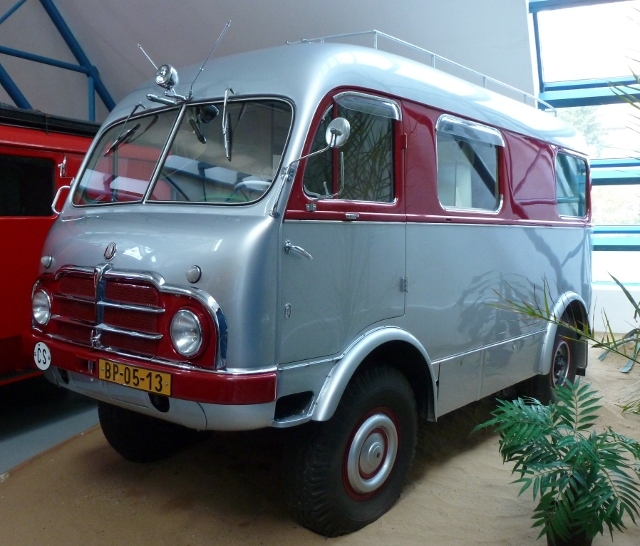 One of the oldest car manufacturers in the world, having built their first car in the late 19th century, this Czech company mainly built trucks – big, beefy off-road trucks. But, for us, it was definitely the cars. Whilst the 1920s saw some truly lovely little cars, especially the sporty roadster versions of the T57, it was the new science of aerodynamics which brought our favourites into being, from the T77 onwards – long and sleek, with a tapering rear. The engineering was also thoroughly off-beat, too – under the finned tail, louvres fed the air-cooled v8 engines. The chief engineer, Hans Ledwinka, was one of the unsung heroes of automotive history, too – a prototype small car caught the eye of a certain Ferdinand Porsche when Adolf came looking for a Wagen for the Volk. So, when our route looked like it might take us through the very Eastern tip of the Czech Republic, a tiny little town leapt out from the map. Kopřivnice. 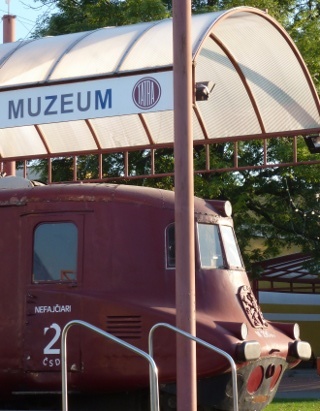 Home to Tatra, and home to a Technical Museum housing many of Tatra’s cars, trucks, aeroplanes; together with engines and chassis – and even a barking mad snowmobile. We weren’t quite queueing up when the doors opened in the morning, but we weren’t far off. Our wander through the museum took us through from a replica of that first car, the Präsident, right through to the end of car production in the 1990s, with the T700. The last of a series of updates to the T613 launched in 1974, it just couldn’t quite cut it in the face of competition from BMW and Mercedes once the Iron Curtain came down. Personally, my lust has always been for the 1950s to 1970s T603 – perhaps the most compelling reason to be a senior Communist Party member in Czechoslovakia? Ellie, on the other hand, has expensive tastes. She’d kill for a T87 – a 1930s jaw-dropper, so beautiful that they even displayed one in the Victoria & Albert museum’s big Art Deco exhibition a few years back. 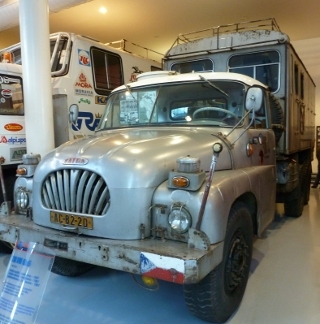 Having been through the museum, though, with the experiences of the last year and a half behind us, we both got severely tempted by some of the big trucks… Several of those on display had been on long and arduous expeditions, and Tatra has long done very well indeed with the truck categories of the gruelling Paris-Dakar rally. Yes, I think we know what we’d take away with us… One of the T805s, please. This entry was posted in Art & Culture stuff, By Country - Czech Republic, Personal stuff. Bookmark the permalink. More, more! More pictures! 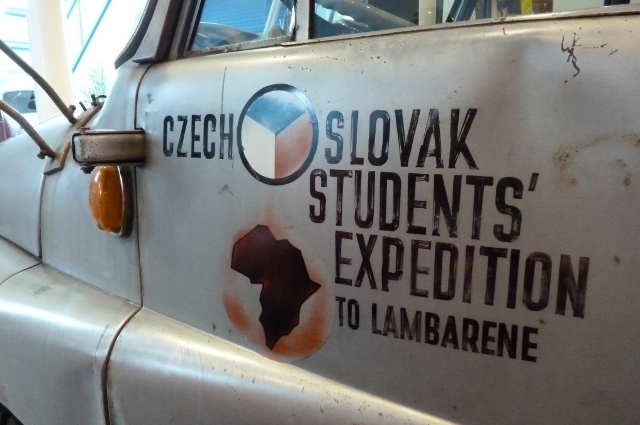 I love Tatras and have done since I went to Czechoslovakia in the early 1970s (in my Dyane of course – which caused some head-turning) and saw these amazing cars. There were some good ones in the UK which turned out for those great Air-Cool rallies some years ago. Drool on! Why were interwar european cars so much more exciting than our own? The T77 is a dream. Looks like a Wanderer Type 8. There was an aerodynamicist called Paul Jaray who worked for both Wanderer and Horch and achieved amazingly low drag coefficients. I wonder if he had a hand in the T77? 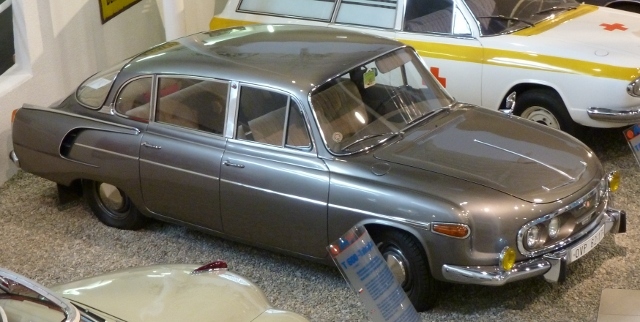 Re Volkswagen ancestry there was a lot of thinking going on around aerodynamic shapes and rear air cooled engines. There was a 1933 NSU prototype which had much in common with the VW. I guess that Ferdinand Porsche pulled it all together and refined it down to sell at 1000 marks. Did you buy a guide book to the museum? We didn’t buy a guide book – there didn’t seem to be one available. 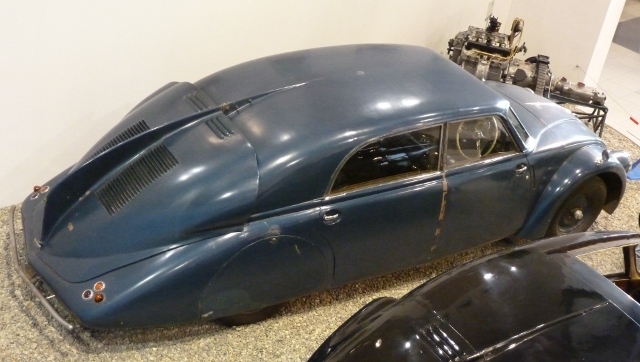 You’re right about Jaray – he was indeed involved, with his studio licensing his work to a number of manufacturers – of whom Tatra were the only one to bring the principles to production.